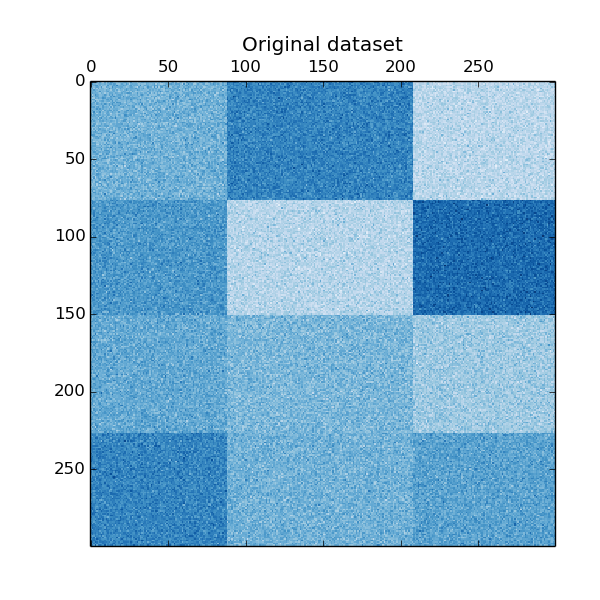 This example demonstrates how to generate a checkerboard dataset and bicluster it using the Spectral Biclustering algorithm. 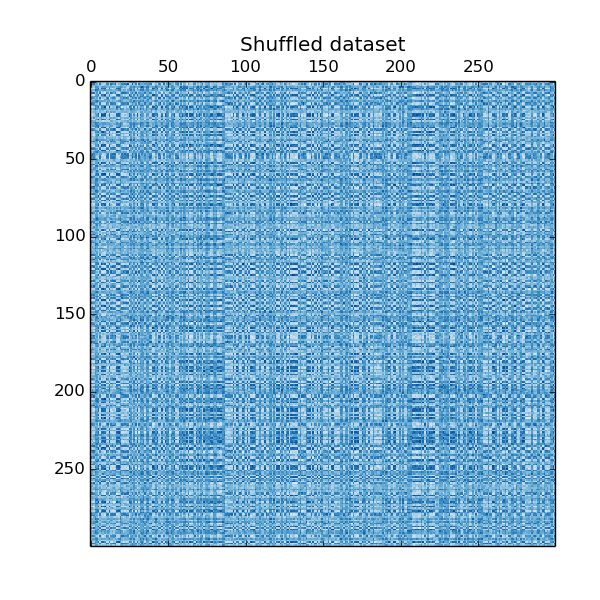 The data is generated with the make_checkerboard function, then shuffled and passed to the Spectral Biclustering algorithm. 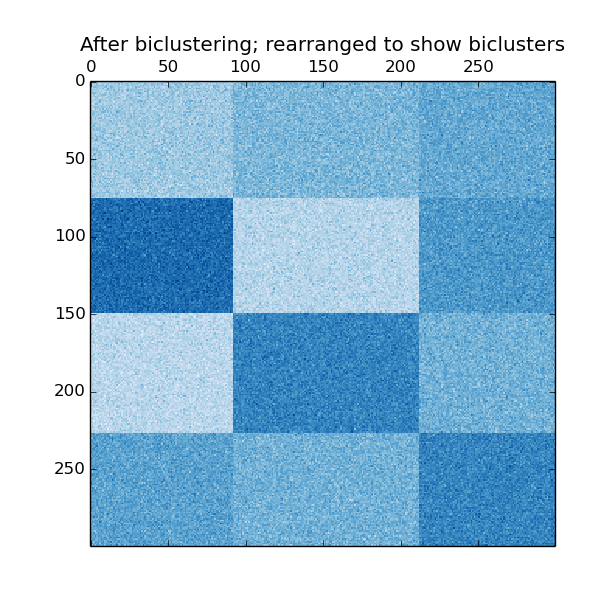 The rows and columns of the shuffled matrix are rearranged to show the biclusters found by the algorithm. 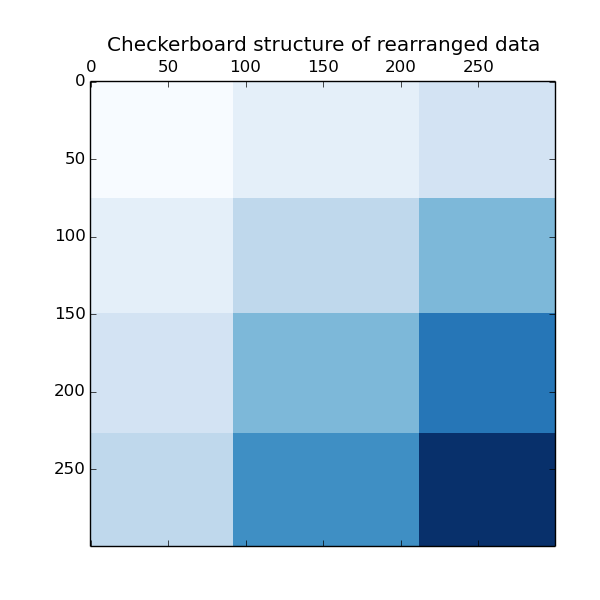 The outer product of the row and column label vectors shows a representation of the checkerboard structure.